Guests: John Batchelor, Dr. Paul Chodas, Dr. David Livingston. Topics: The discovery and flyby of A/2017 U1 interstellar object in our solar system. Written Transcripts of Space Show programs are not permitted without prior written consent from The Space Show (even if for personal use) & are a violation of the Space Show copyright. We do not permit the commercial use of any Space Show program or part thereof, nor do we permit Space Show programs to be edited, placed on YouTube, or other private channels & websites. Space Show programs can be quoted in news articles, papers, academic & research work but must be cited or referenced in the proper citation format. Contact Dr. Livingston for questions about our copyright and trademark policies which we do enforce. 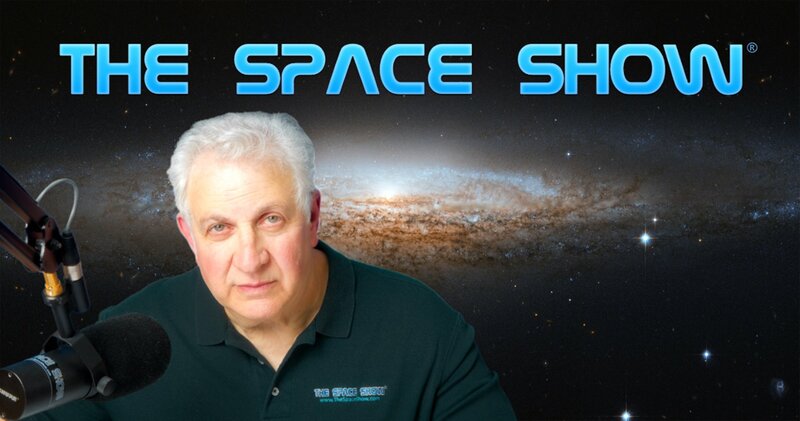 This program is archived on The Space Show website, podcasting, and blog sites with permission from John Batchelor. Please visit the John Batchelor Show website for more information about this fine program, www.johnbatchelorshow.com. Remember, your Amazon Purchases Can Help Support The Space Show/OGLF (www.onegiantleapfoundation.org/amazon.htm. Please note that audio and transition issues are a result of copying the John Batchelor broadcast & are not within my control as they originate in the Batchelor studio. John Batchelor and I welcomed Dr. Paul Chodas to the program to discuss the recent discovery and identification of the interstellar object identified as A/I2017 U1. This object was later given the Hawaiian name 'Oumuamua. Our guest talked about it likely coming from the Constellation Lyra and Vega. We talked about its very high speed which seemed to be about 25.5 kilometers per second (15.8 mps). Dr. Chodas said the object was about 200-300 meters in size and reddish in the spectrum. Later in the segment, we talked about how Dr. Chodas calculated the orbit and the work he has done in this area since 1990. We asked how this work has changed over the decades. In addition, don't miss the part where we learned that astronomers had been expecting such objects for decades but this was the first time one was actually found. It was a very interesting story. You can email Mr. Batchelor or Dr. Chodas through me at drspace@thespaceshow.com. Dr. Chodas is also available through his JPL website.